[toc] There is ample number of issues that you might have to face all of a sudden where your health is concerned. Among the various aspects that we try to keep healthy and fit, there is one that needs regular check up and proper care for ideal condition. Yes, we are talking about the teeth. Our teeth not only have an important function to perform in the form of chewing our food that helps in perfect digestion but also in enhancing our aesthetic look. How many of you have heard that smile is one of the precious things that we are gifted with? There is no wonderful smile without a healthy set of teeth. However, with external factor and unhygienic ways of lifestyle, there are millions of people who undergo toothache from time to time. You can use simple tips and ideas in a situation like this to get rid of the toothache. To help people live a convenient life and to ease out their effort to treat the toothache, this itinerary below provides the best solutions that can be followed for achieving the goals. All you need to do is follow them on a strict note to get visible results. One of the first and the foremost thing to be done when it comes to toothache is to get an appointment with your doctor. To ensure that the problem is treated at the earliest this is what will help you in a fast manner. The importance of visiting a professional is something that should not be neglected at any cost. To make sure that you don’t feel scared of the dentist you can choose a one who is friendly in their approach. This is the first tip that you can effectively follow without second thoughts. A natural product that can be really beneficial when it comes to getting rid of toothaches is garlic. Though garlic has innumerable health benefits, treating pain in the tooth is one of the many top ones. It is easy as well as affordable on the pocket. 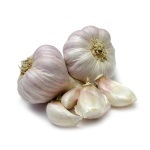 Make a fresh paste of about two cloves of garlic and chew it between the teeth that are suffering from pain. This should be left for about a couple of minutes. Instant relief can be experienced with this idea. 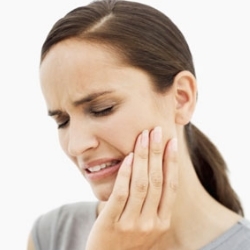 With toothache comes the fact that we might not have maintained proper cleanliness and hygiene of the tooth. This means that you need to give more attention to the teeth and its health. Apart from brushing twice each day in the morning and evening, it is always a good idea to dental floss the teeth at least once before sleeping at night. This will clean up the residues from between the teeth. Mouth wash can also be used to flush out the accumulated bacteria in the mouth that might be causing the toothache in the first place. Gargle the mouth from time to time especially after the meals to remove most of the food particles in the mouth that causes the pain in the long run. This will greatly reduce the ache in the teeth and help you relax. 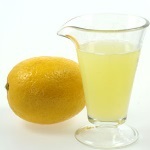 Use freshly extracted lemon juice for getting freedom from toothache. The good levels of vitamin C and antioxidants in lemon is what will do the trick for you. The juice should be applied well on the tooth that is bearing the pain. Let it stay for about the next 15 minutes. You will definitely see the pain disappearing almost instantly after that. Clove has for always been used in the grandma’s recipe for toothache. 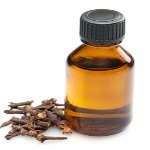 This can either be in the form of clove that you chew in between the teeth that are affected with pain or in the form of clove oil that can be applied on the tooth for about 10-15 minutes. For rapid relief from the aches, this is one of the ideal recipes to be used. Use a cotton call to apply clove oil on the tooth for convenient application. Looking for an effortless method to get rid of toothache? Gargle with lukewarm water which is mixed with a little amount of salt. You can gargle the mouth several times in a day to get maximum advantage. This helps in cleaning away the accumulated dirt and bacteria that causes the toothaches. It is one of the easiest methods of treatment that you can come across. It is also a tip that should be followed on a routine bass to maintain good hygiene of teeth. A quick way to get relief from toothache is to apply an ice bag on the tooth through the cheeks. This will definitely give you the results that you are looking for and cure the discomfort that is bothering you. 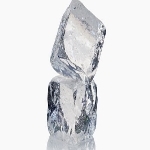 Ice is easily available at all homes and needs no such expenses for application. This can be done whenever the ache becomes intolerable. 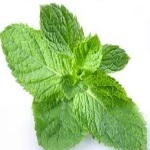 Leaves of mint or peppermint oil are some of the other safe and 100 percent natural products that are known to treat the toothache rapidly. This can be done in a simple form by chewing on the leaves. Peppermint oil on the other hand can be applied on the tooth for a while using a clean cotton swab. You are bound to get ideal outcomes with this remedy if followed each day until the problem subsides completely. 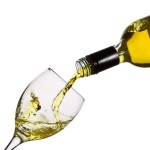 Application of hard liquor like vodka or whisky on the tooth with a clean cotton ball is one of the right ways that can be taken for the treatment of severe toothaches. This might not be a very common way and not at all advisable for children but then it is still and efficient way of reaching your goals. In case of mild infections, it treats it in a couple of days’ time and is known for its immediate relieving procedures.